Fresh insight on the trends taking place here reveals that most buyers and tenants are looking for P-Grade accommodation, which unsurprisingly makes up the bulk of new developments. The second quarter of 2019 has arrived incredibly quickly and it has brought with it new commercial real estate requirements as buyers, sellers, landlords and tenants begin to interact with property differently. 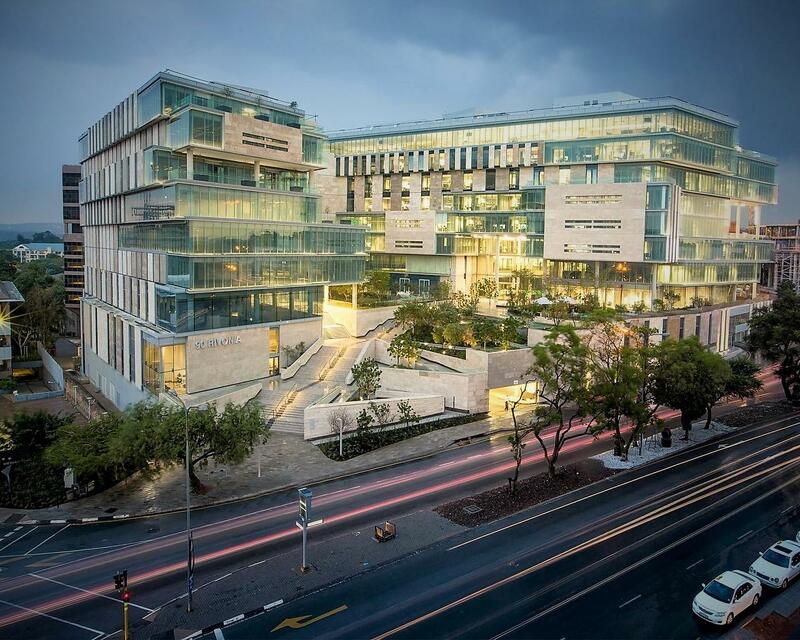 Sandton, being the catalyst for almost everything in the commercial sector, is undoubtedly experiencing new trends that will dominate the landscape in 2019 and going into 2020 as well. Fresh insight on the trends taking place here reveals that most buyers and tenants are looking for P-Grade accommodation, which unsurprisingly makes up the bulk of new developments. In the third quarter of 2018, office supply of this grade of property increased by more than 50 000sqm, while the future of Sandton looks set for further transformation as it will receive the bulk of Johannesburg's development pipeline, which currently sits at 398, 057sqm in total. At the moment, P-Grade accommodation in Sandton accounts for 47.2% - a percentage that is set to soar in the near future as more developers and investors pump capital into the commercial sector. The requirements for a building to achieve P-Grade status is immense, but in a nutshell, it needs to be a modern space integrated with high-end technology to make it fully intelligent, while boasting architectural designs, good views, immaculate landscaping and greening, on-site undercover parking and amenities, and high-calibre security measures. Furthermore, P-Grade accommodation that is Green-Star rated is one of the most in-demand properties not just in Sandton but throughout SA as well. This type of building promotes sustainability and eco-friendly principles and appeals to a growing number of companies that are becoming environmentally conscious and trying to reduce their carbon footprint by saving on water, using less electricity and creating a healthier work environment for their employees. The remaining of the stock in the suburb are A- and B-Grade accommodation, which accounts for a total of 17.4%. Most inquiries are coming from tenants and owners who require affordable offices and who are looking for smaller spaces. However, due to the widespread and steadily growing popularity of P-Grade accommodation, demand for A- and B-Grade is decreasing as a result of tenant relocations to newer buildings within Sandton. This has prompted landlords to retain existing tenants by offering incentives such as rent-free periods. However, in the long-term when more P-Grade accommodation enters the market, landlords will need to find innovative ways to retain existing tenants and keep older buildings relevant in a changing market. Vacancy rates among the three main property grades further emphasise the popularity of more modern properties. P-Grade vacancies are hovering around 6.3%, A-Grade is 19.7% and B-Grade is 34.2%. While, the average monthly rental rates are respectively R220-R250/sqm, R150-R200/sqm and R100-R150/sqm. 3CUBE Property Group has a diverse portfolio of A-, B- and P-Grade accommodation in Sandton to suit a wide range of property requirements, and it is centrally located to the Gautrain and a wealth of amenities to make business life here one of convenience and unmatched luxury. To find out more about the commercial properties in Sandton, speak to our helpful agents today.